Join us as we wrap up the coverage of the Milwaukee Road’s locomotive fleet. Volume 3 features the two separate electrified divisions—the Rocky Mountain Division and the Coast Division. 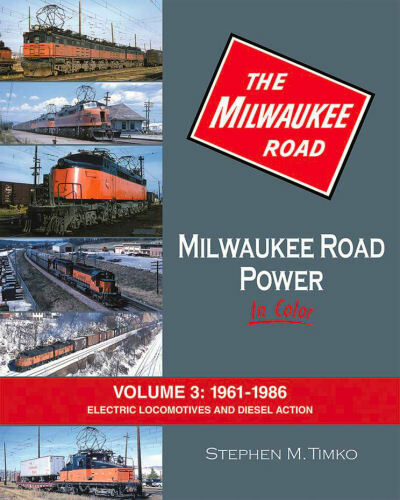 Volume 3 also covers “Power Cars, Snow plows, and Miscellaneous Equipment and Structures” as well as “The Running Indian” locomotives, “Moving Along the Milwaukee Road, and “After the Milwaukee Road.” Hard cover.